Give your clients the gift of a green thumb with the Promo Planter! 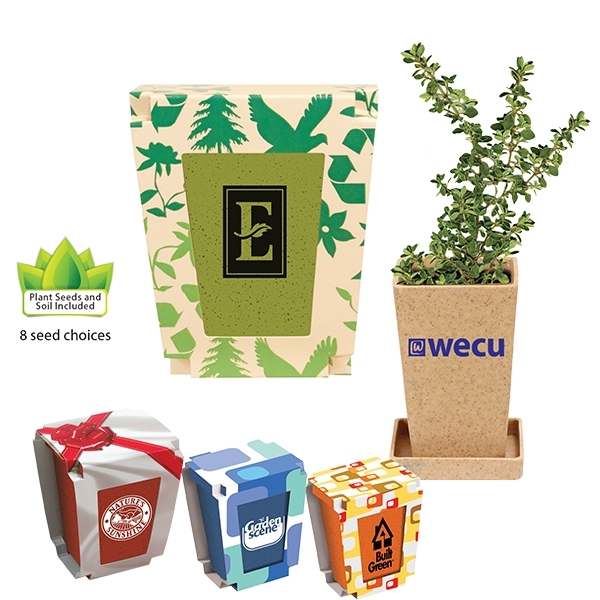 This product consists of 3" tall promo planter with your choice of seed packets and soil disk. The planter is made from rice hull and corn husk and for your convenience it's available in a variety of colors to pick from. Don't forget to add on a personal message or your company logo. Your clients that have a hobby for gardening will not forget your kind gesture.